We sailed on a ferry that carried our car. The journey took about 40 minutes. The feeling of not knowing what was gonna happen next was strange yet awesome at the same time. We finally arrived at Gilimanuk and doped with excitement. We were so hungry and Roy stopped at a rickshaw food seller and bought Nasi Kucing (Cat Rice). When I heard that, I was so worried that they cook cat and eat it with rice. Two years later, I learned that the reason why it was called such a way is because of the portion of the wrap. It was too small and enough for cat to eat. 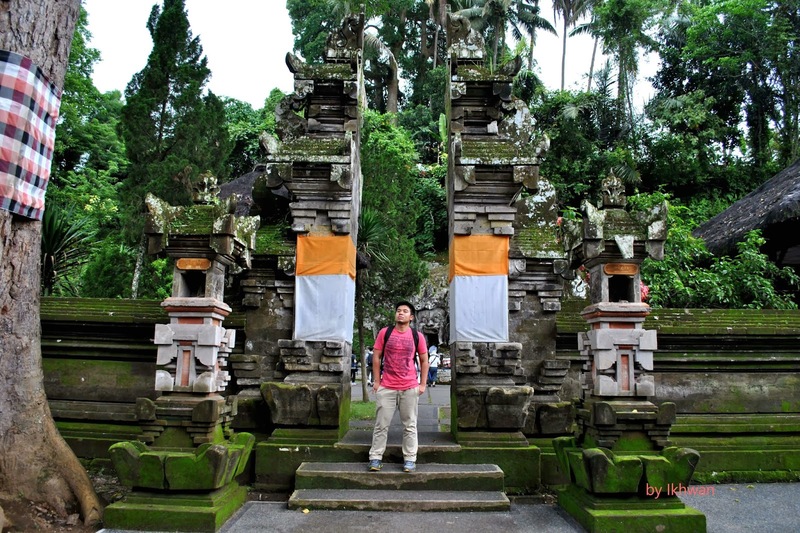 Along the way we stopped at few places and tried to search for any traces of Bali culture. It was not that much but definitely could be seen here and there. 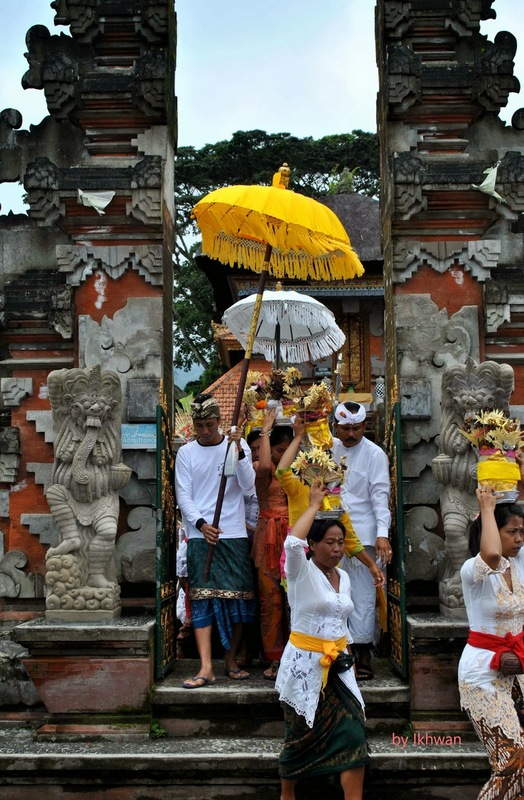 For those of you who do not know, Bali is populated largely by Hindus and they still practice their traditional cultures. We then continued the drive to Buleleng near Singaraja. Luckily for us, Bama has a relative there. So, we managed to save 2 nights by staying at someone’s house. We were treated well by Imam’s family. They even bought us local sate/satay. They were extremely nice to us. Amusingly, their neighbours came unexpectedly just to see Malaysians like us. How funny when you become the center of attraction. Imam’s family. I wished to visit them again. Not sure if they still remember us. 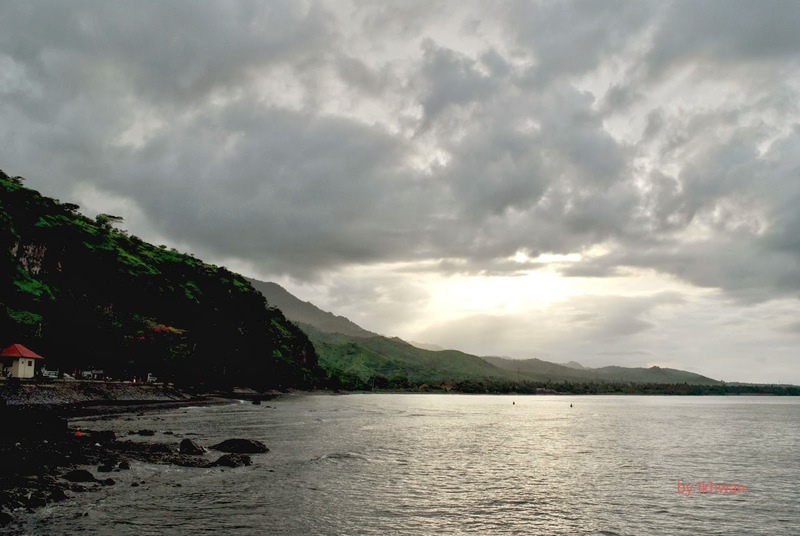 On the next day, we went up to Lake Batur to see Mount Agung. Unfortunately, it was raining cats and dogs. No photos definitely. We were left disappointed and returned home. One day was wasted just like that but that’s part of travelling. 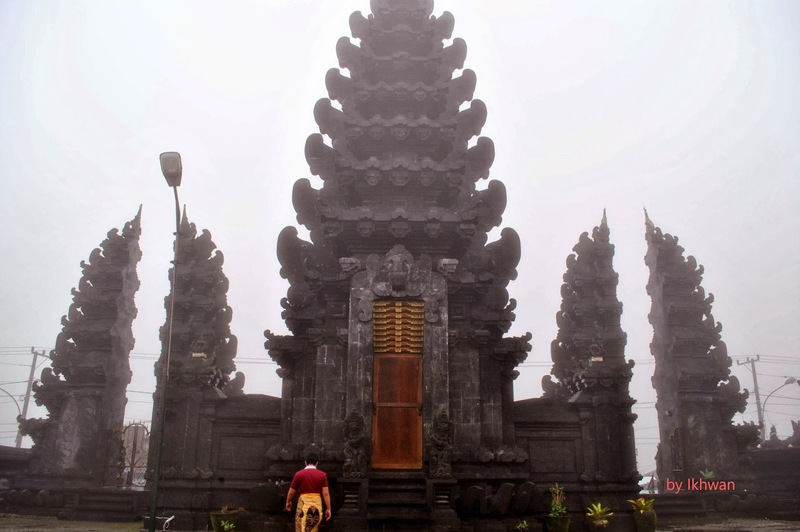 Pura Batur. It was misty. I was quite surprised when the locals forced me to rent sarong. My mood was affected by the gloomy weather. I got quite cranky but well, that’s just me feeling disappointed. But we did not give up just like that. We searched for another Pura which was not on the map. After another disappointment, I had to do something fruitful at least. So I stopped at a random location and did geology. Nerd mode alert. Igenous rock. 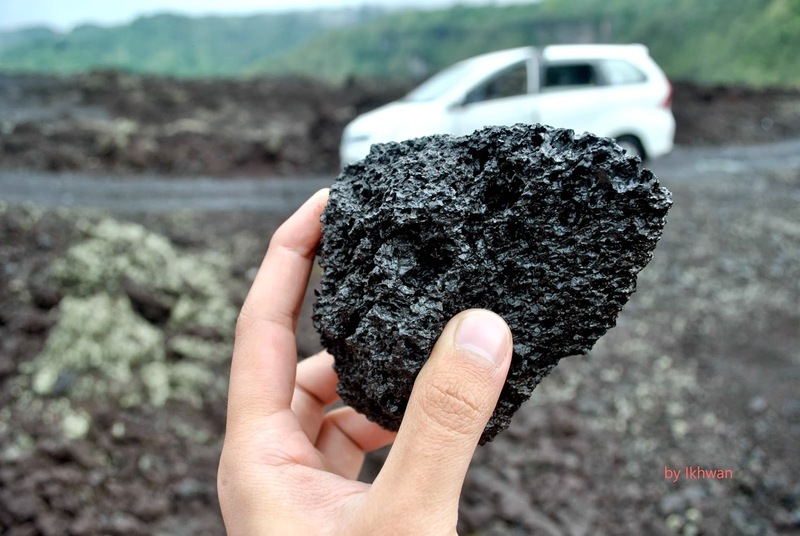 Basaltic and most probably scoria. 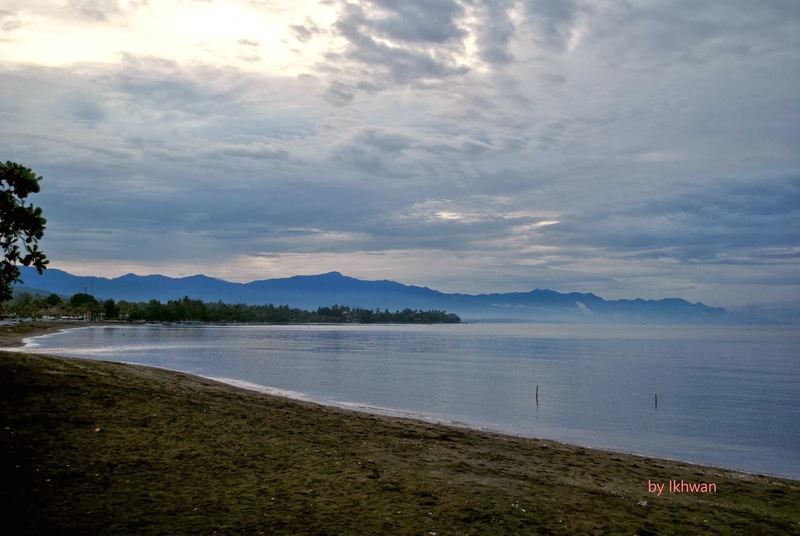 We returned to Buleleng but stopped at Lovina Beach to catch the sunset. The beach was not pretty but quite unique as in the sand was not in usual color. They were black. As a geologist, I knew already the exact cause of the coloured sands. The beach is close to the volcanic mountain which has dark igenous rocks. The material eroded from the mountain and deposited at the beach as the black sand. Since the source and the beach is quite close, the color remains. At the place where we stopped, there was a group of girls practising Barong traditional dance. I was fascinated by their performance which made me more excited to see the real performance soon. The next day, we said goodbye to Imam and his family. We were now heading to the South of Bali where all the excitement located. 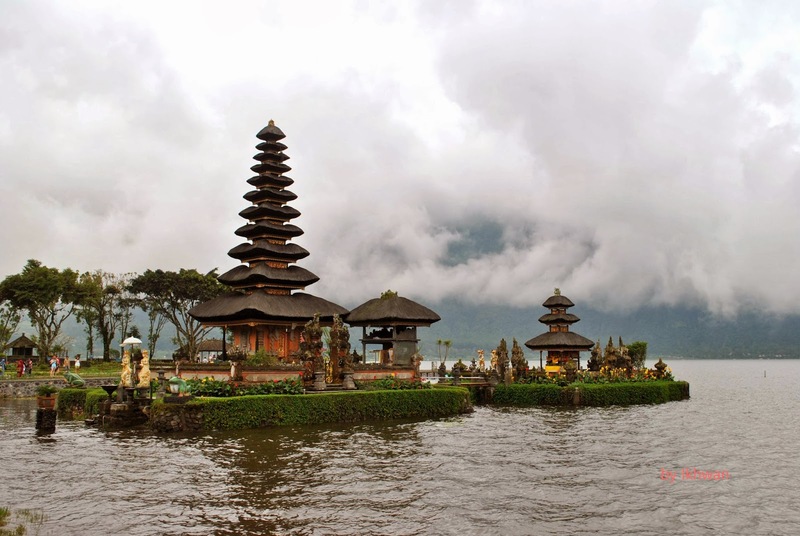 On the way to Kuta, we stopped at Pura Ulun Danu. The very famous Pura where thousands to millions of photos were captured. The weather was gloomy all day but I tried my best to enjoy the moment. Luckily, the locals were having a worshipping event. The participants of the worships were leaving the temple. After that, we visited Goa Gajah. It was not that interesting but I am biased because of my interest. You might find Goa Gajah interesting though. 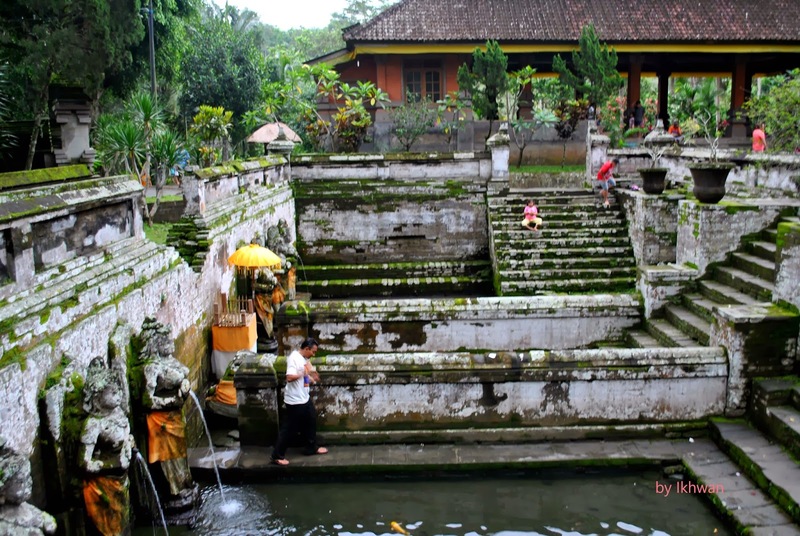 According to the caretaker, the water is said to bring luck and heals diseases. Right after we left Goa Gajah, rain started to fall heavily. The rain did not stop so we missed out Ubud and Monkey Forest. 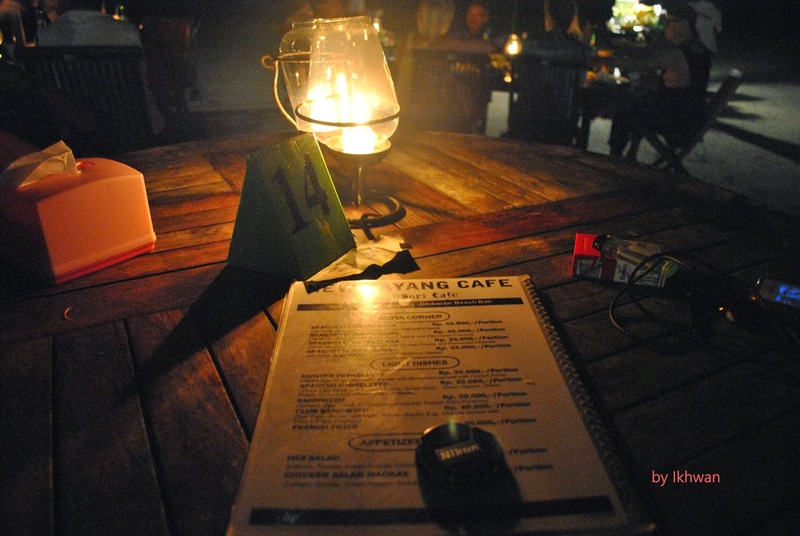 We continued the journey to Kuta and had dinner at Jimbaran Beach. It was the famous dinner at the beach with sky as the roof. It was an awesome experience eating grilled seafood with the sound of wave splashing the beach. A romantic oiled lamp accompanying us throughout dinner. Soon after that, we sent off Bama at bus station. He could not follow us anymore due to work commitment. After that, we checked in at Loft Legian. Quite decent with Coffee Bean at the lobby. Soon after, we walked along Jalan Pantai Kuta and explored the area. I was surprised with low number of tourists. Probably because of the rainy season (it has become obvious now that we went to Java and Bali during low season or monsoon). It wasn’t that happening but I did not mind though because I am not into night life and clubs. So, I passed. 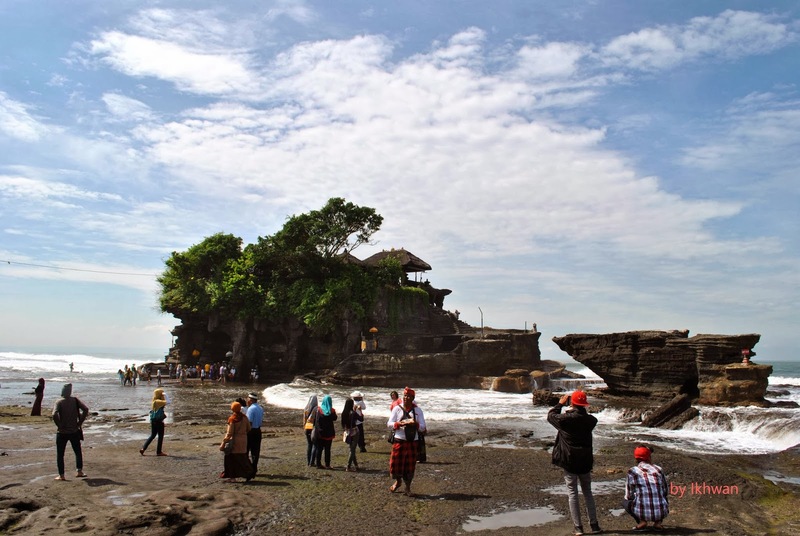 On the next day, we went to Pura Tanah Lot. This one was just amazing. Low tide. 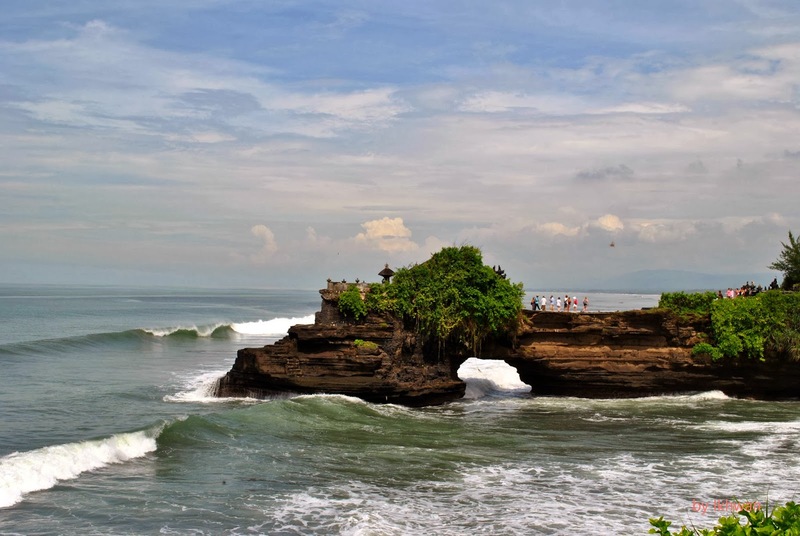 So, we could walk to Pura Tanah Lot. The geomorphology. Due to strong wave and wind, the rocks are prone to erosion. We were blessed that day with sunny and clear weather but we did not know what to do anymore while having plenty of time. 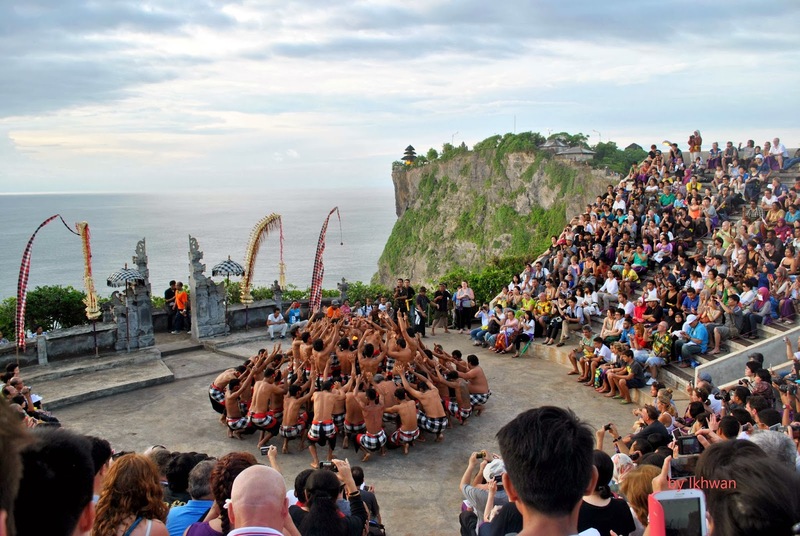 The next main location was Pura Uluwatu and the kecak dance show only began at 6pm. 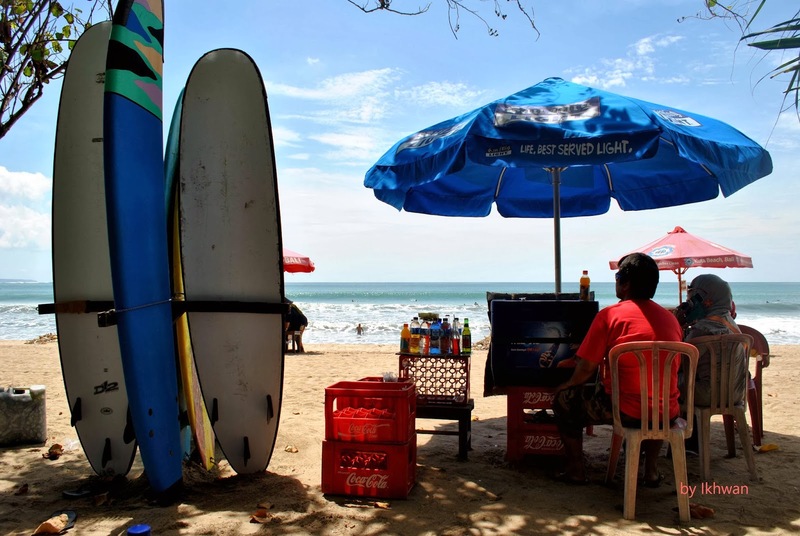 So, we googled and found out about South Kuta. There were few interesting places there. 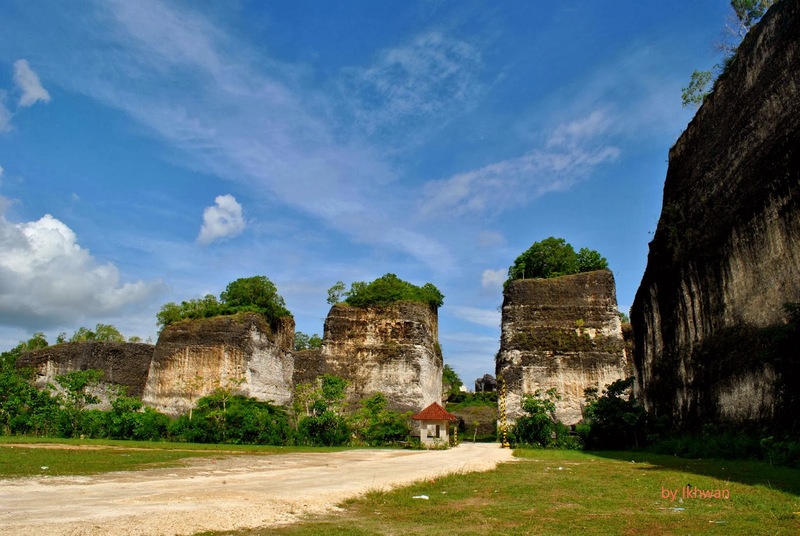 Garuda Wisnu Kencana Theme Park over this limestone walls. I bet there were mostly locals visiting this park. The admission fee was quite pricey so I didn’t get in. 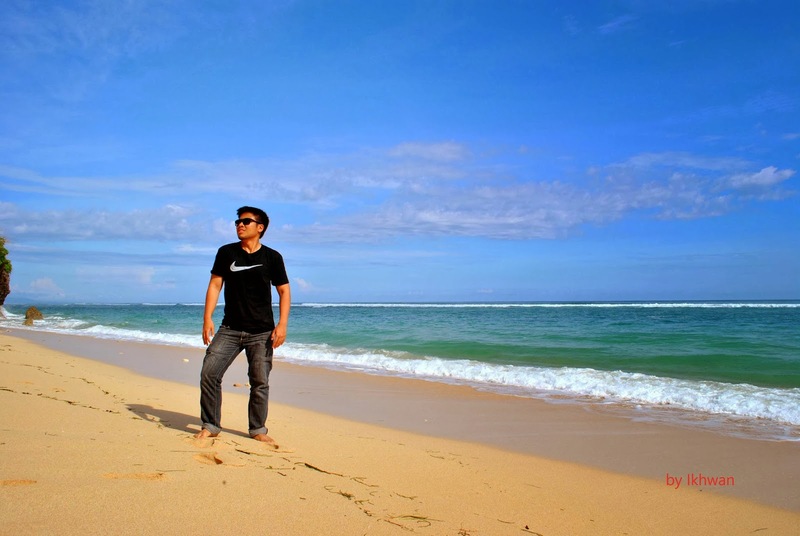 We just aimlessly driving around South Kuta until we found a secluded beach. To get to this beach, we had to hike down a little bit. I am sure there were other secluded beach like this around here. 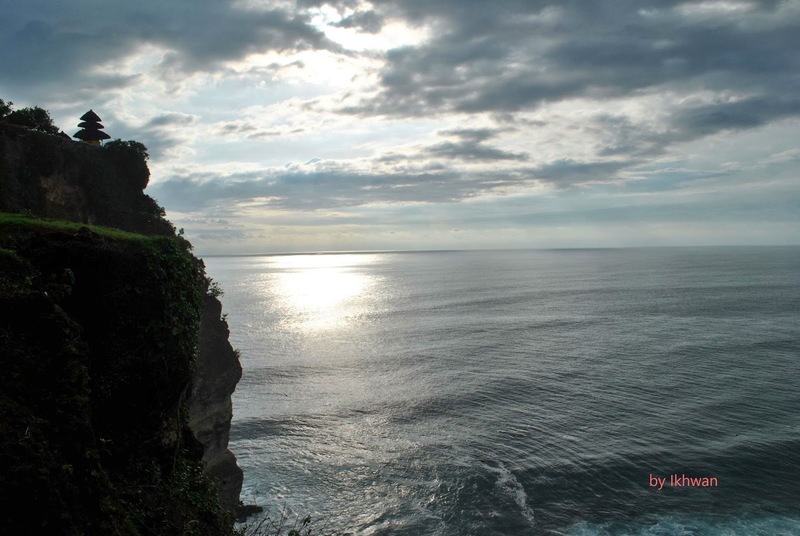 Finally, the time has come for the main attraction, Pura Uluwatu. 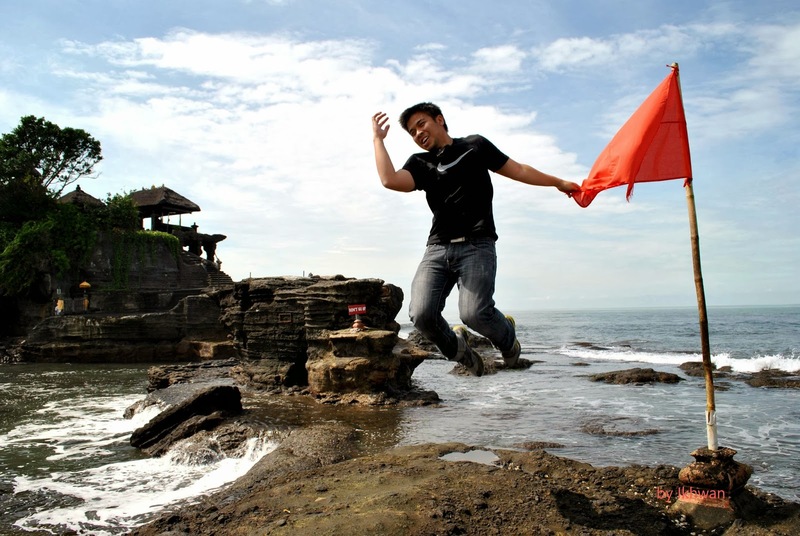 Pura Uluwatu is located on a cliff. The view was just amazing. A great place to watch sunset. Kecak dance theater with sunset as the backdrop. On the second last day, we went back to the heartland to visit Jatiluih. 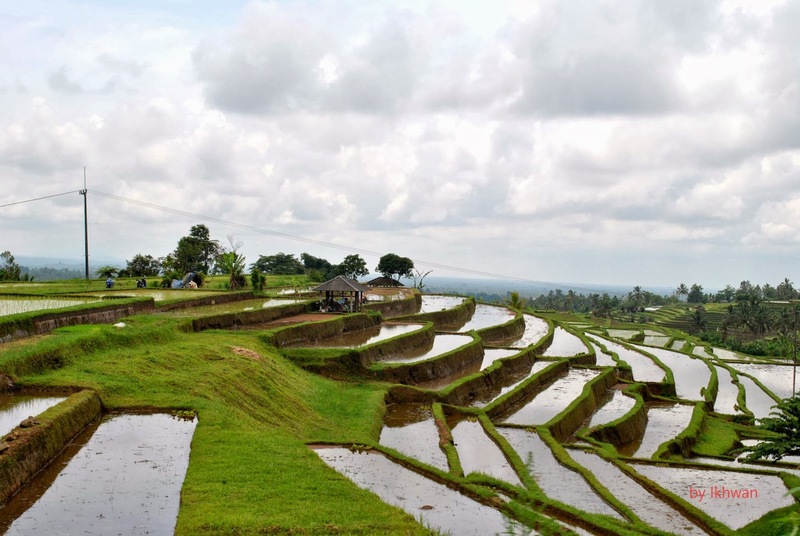 Jatiluih is where you could find the terraced rice paddy farm. Jatiluih took us whole day of travel. Even that, we arrived Legian quite early but I decided to stay in hotel to pack and prepare for the flight on the next day. At night, I went out again to get the final walk at Kuta Beach area. I even had a Bali massage (it wasn’t as good as Thai massage). On the last day, before we checked out, I did something extraordinary. I really wanted to check surfing in the wishlist. So, I dared myself to take a 1 hour of surfing lesson at Kuta Beach. I thought that 1 hour was not enough but after trying it out, 1 hour was really a challenge. Nonetheless, it was awesome and it felt proud to stand on surf board while surfing. My buddy skipped surfing since he is afraid of water. After checked out, we drove to the south where Ngurah Rai Airport is located. 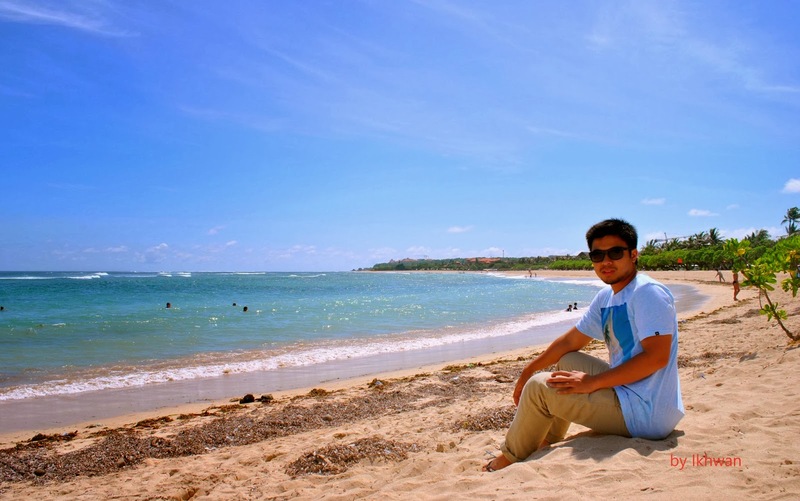 Since there was still plenty of time, we visited Nusa Dua Beach. This was a nice area and more quiet compare to Kuta. I bet there are mostly rich people staying here. 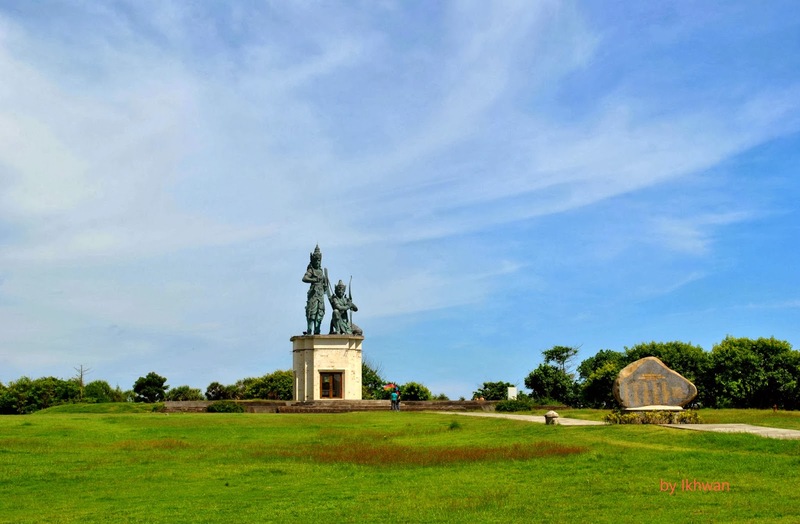 The monument at Nusa Dua Beach. Human as scale. Finally, it was time for me to say goodbye to Indonesia and Roy for driving us all the way from Jogjakarta to Bali. Without him, we might have lost. We did actually lost on the way to Probolinggo but it was an awesome experience though nerve wrecking. Stay tune for more travel updates. Thank you. Go! Bali is waiting for you!